Lots of people comment on how much Lucy looks like Henry. So okay, she probably does look more like him. But Henry did say that she has this same glassy eyed look that I have from many years ago. I don’t know how old I was in this picture, but probably not too far along. 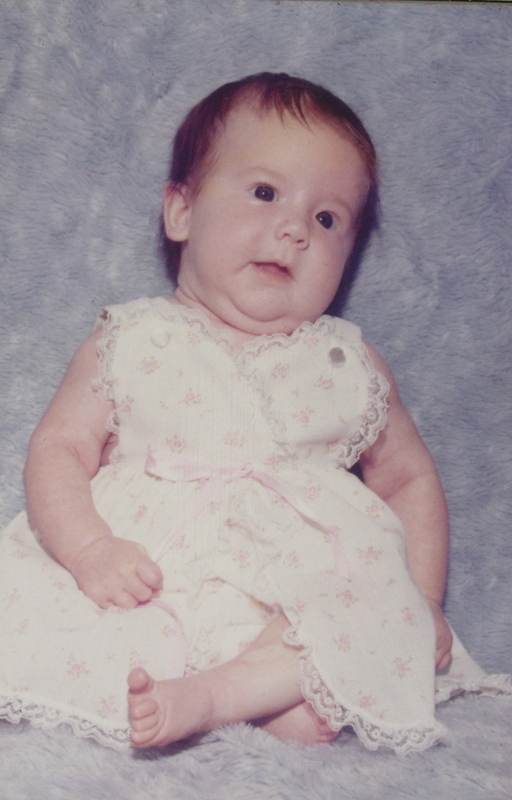 I did have a full head of hair when I arrived in this world. I haven’t seen her in person, and I’ve known Caroline longer than Henry, but she looks like a Rutledge to me and she has from the very first picture I saw!